I was trying to think of a way to diversify our meal ideas and different ways to use seared tuna. The final decision was to marinate and sear the tuna on the grill and place it on top of stir fried veggies, both with an Asian emphasis. Both parts of the dish were good alone and worked really well together. 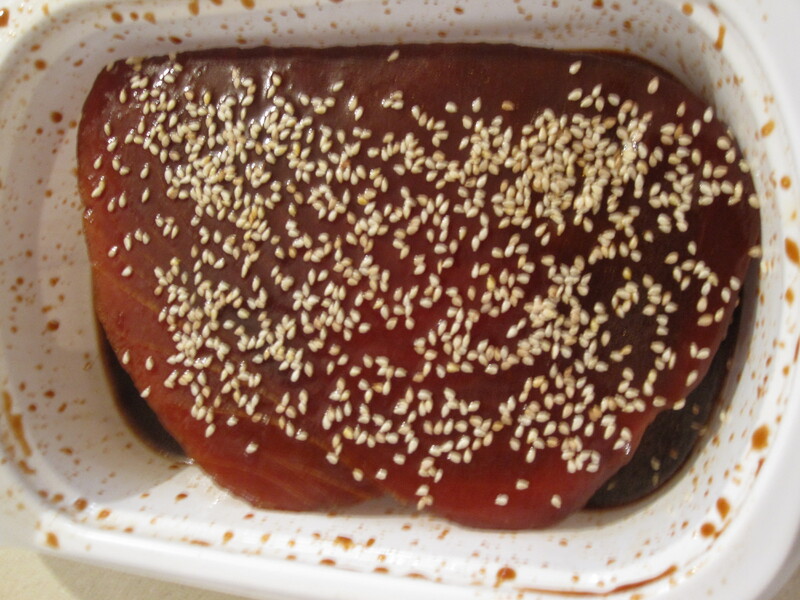 I started by marinating a tuna steak in soy, siracha, and sesame oil which I have really been into recently. 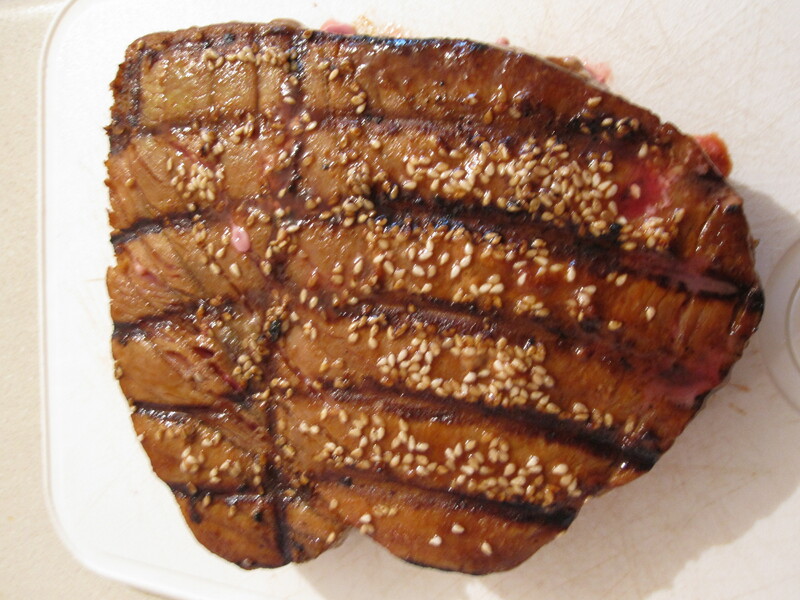 After marinating for about an hour, I sprinkled with sesame seeds and got to grilling/searing. 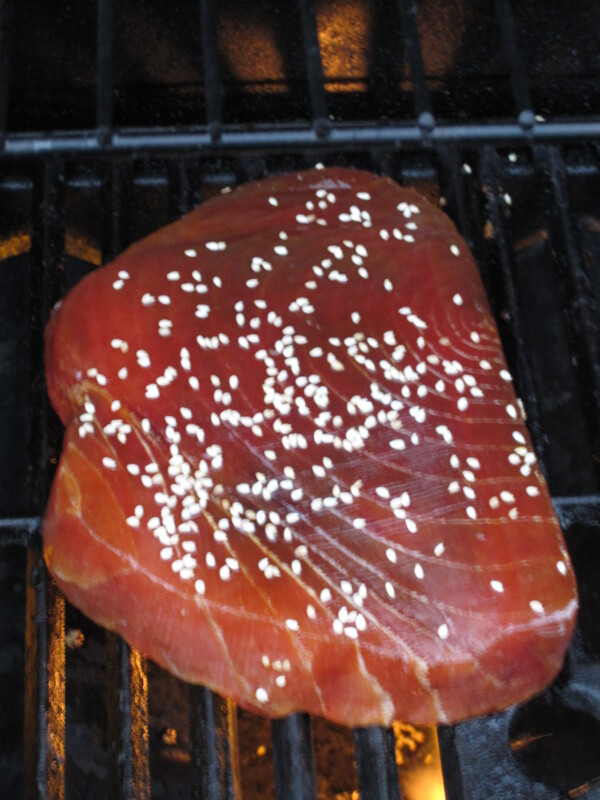 Once the tuna was seared on each side for about 3-4 minutes, I put it aside and let it sit for a while before slicing. The stir fry process was already under way by the time the tuna was on the grill. Onto that process which was also featuring the flavor of the month for me, sesame oil. 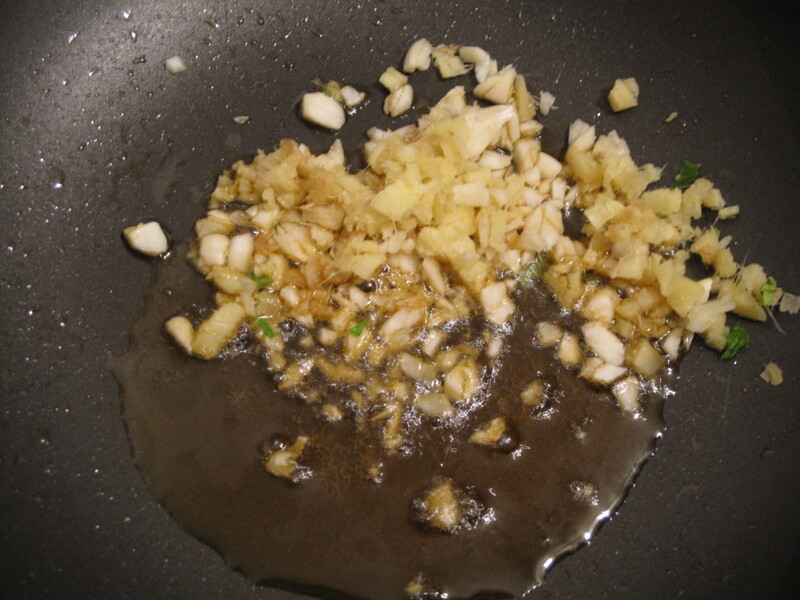 Then ginger and garlic with a few green onions that crossed borders. 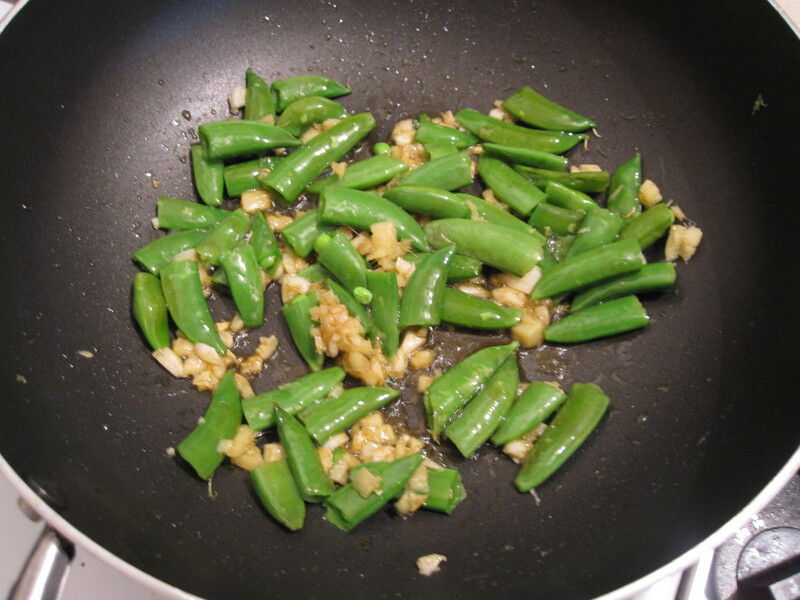 Once these sauteed for a few minutes, add snap peas and continue to stir fry on high heat. 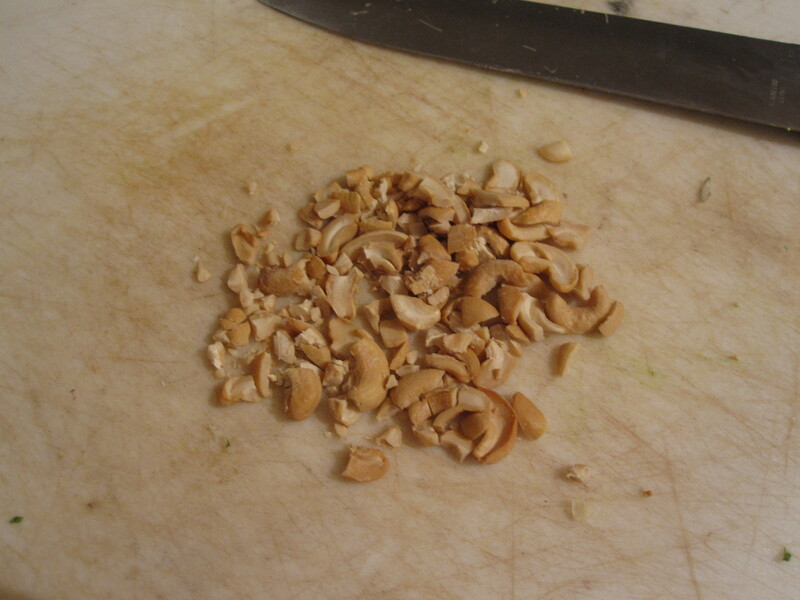 I got the last minute idea adding some roughly crushed cashews that we had in the cupboard. The canned bamboo shoots and sliced water chestnuts that I planned to use are still in the unopened and forgotten cans on the counter. 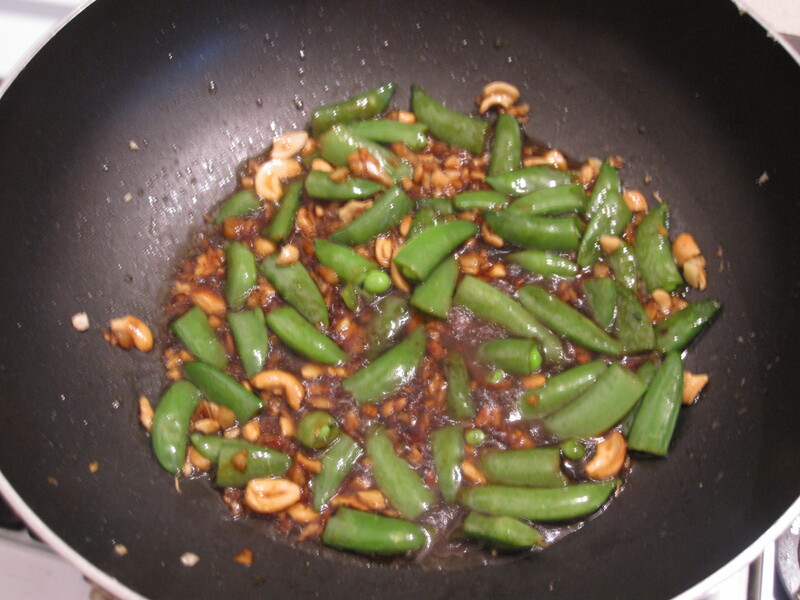 When adding the cashews, I added some rice wine vinegar and soy. 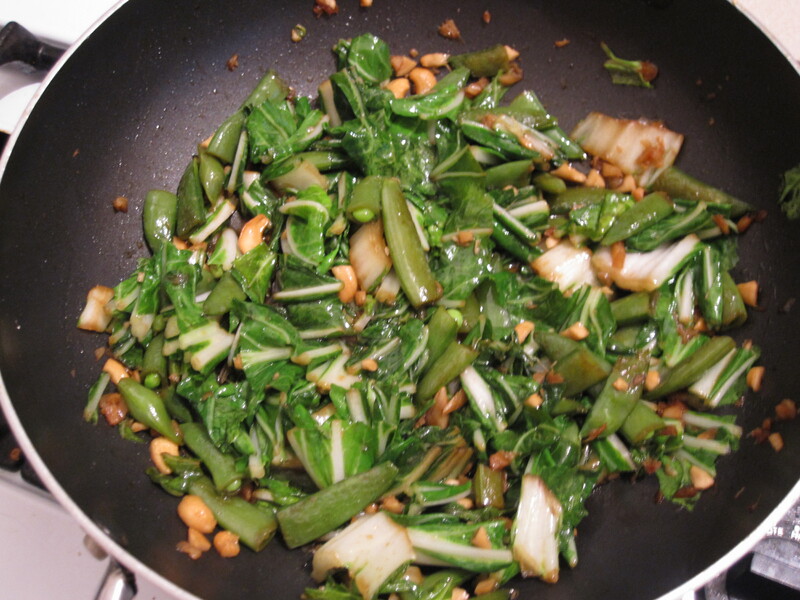 One of the main ingredients that was not forgotten was bok choy. Like so many other lettucey vegetables, the bok choy cooked down quite a bit and I would have chopped more off of the stock next time. Chopped green onions were also added at this point so that they would not wilt down too much but soften some. After some more stirring and frying, this part was pretty much done at this point and it was time to assemble. 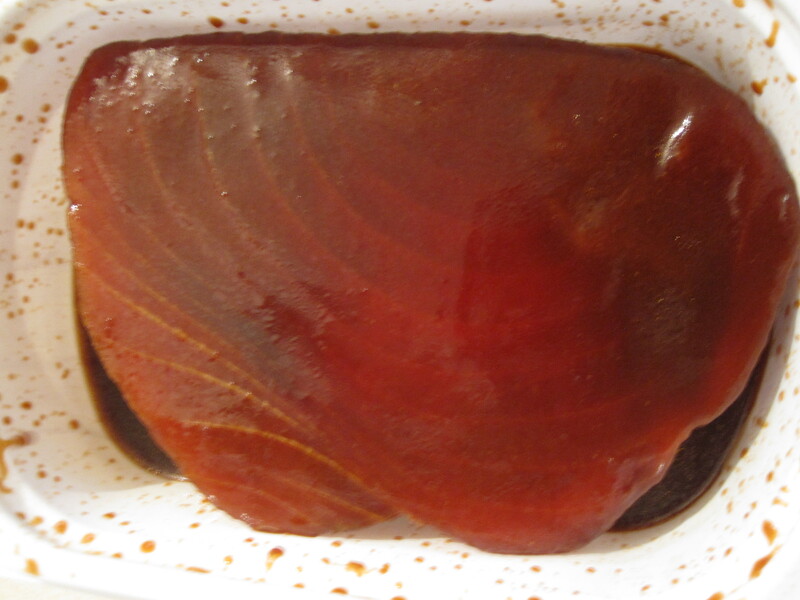 First, the somewhat cooled tuna was sliced and still let off quite a bit of juice and may have been a bit too rare for the liking of some but was right up our alley! 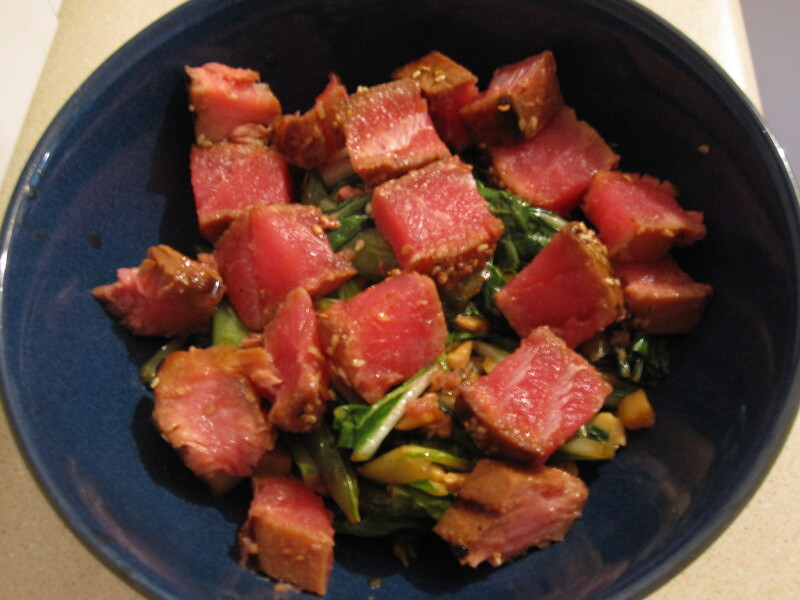 Then just put some stir fry in a bowl and top with sliced tuna. I took it a step further and cut the tuna into bite size pieces before putting it on the vegetables. 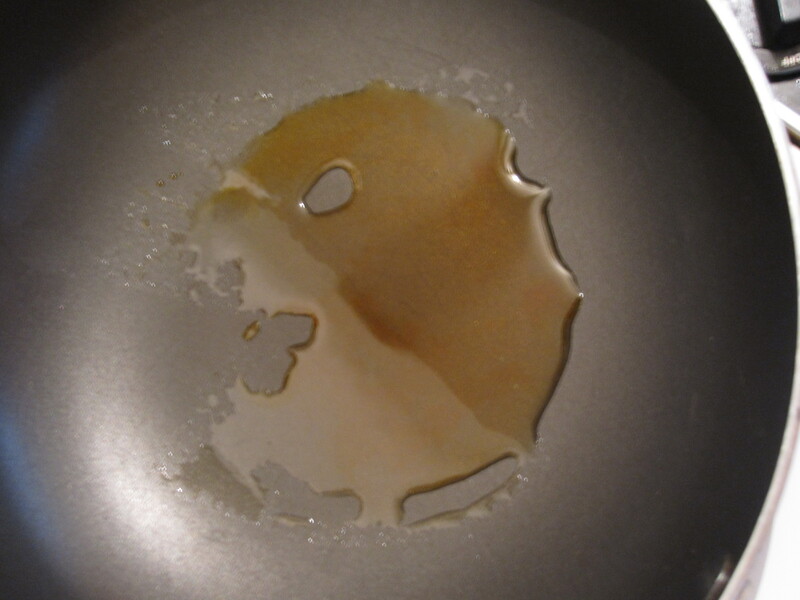 The bloggers know there is the picture dish….and the others. I thought that this “other” one was still blog worthy though, even if just for the practicality. 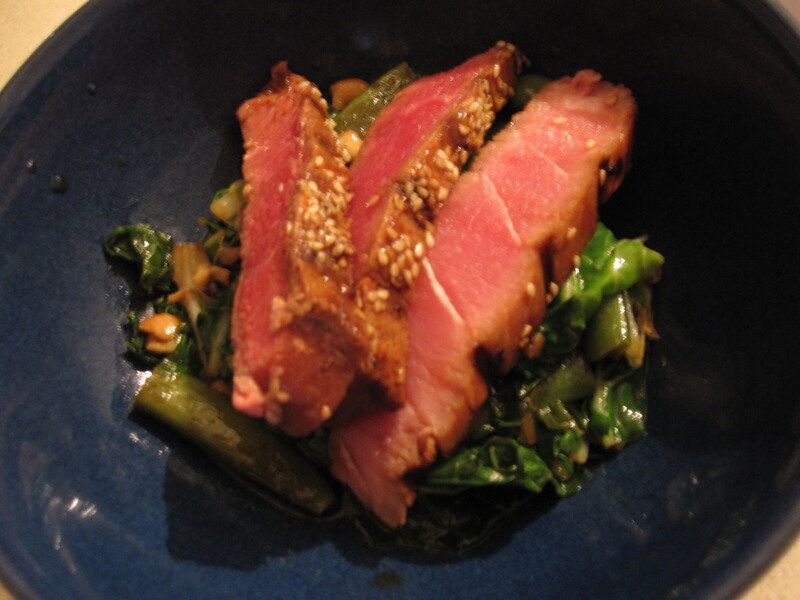 This entry was posted in Asian, Seafood and tagged bok choy, cashews, garlic, Ginger, Green onion, Seared, sesame oil, sesame seeds, siracha, snap peas, soy sauce, stir fry, tuna steak. Bookmark the permalink. 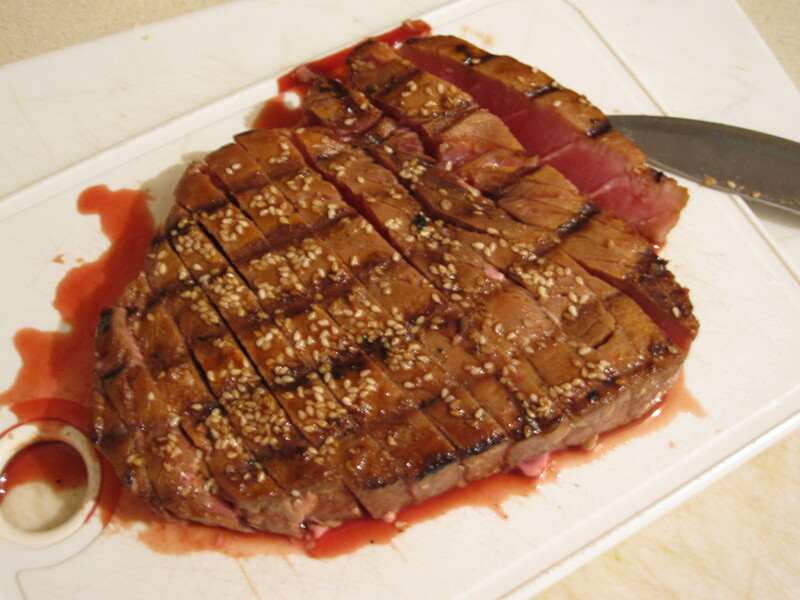 Seared tuna is one of my very favorite dishes and this one looks just awesome. I’m seriously drooling!